I love stuffed mushrooms. 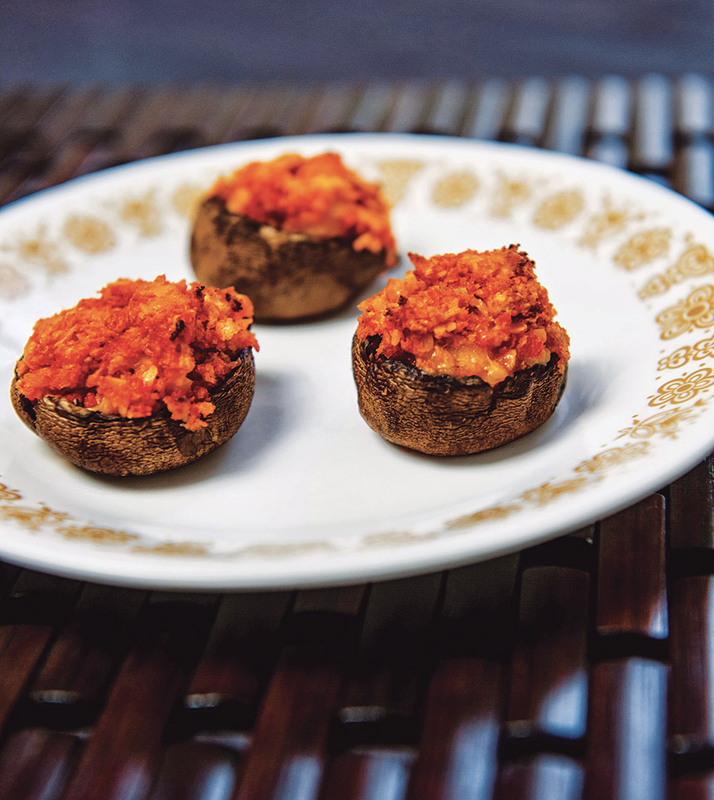 I make a crab and swiss cheese stuffed mushroom which is a real hit at family gatherings. i never make my stuffed mushrooms dairy, what a good idea! You know how I feel about cheddar and Sriracha!? I LOVE IT! So many great stuffed foods to choose just one but I do love a stuffed mushroom and this recipe sounds delightful. If I had to choose just one favorite stuffed food it would probably be jalapeno poppers though. Hmm, well for sure, it’s NOT stuffed green peppers. Bad childhood memories, sorry mom, lol. Stuffed potatoes would be my fave. Nice combo — cheese (especially tangy cheddar) and sriracha. My sons-in-law will LOVE this. That’s a lot of sriracha, must be nice and spicy. This is a good one to remember for Superbowl snack. I love stuffed peppers, and stuffed cabbage. I love stuffed mushrooms because they are so portable! What a great combination of flavors, salty, creamy, spicy. Great Job! I love stuffed chicken breasts and stuffed mushrooms. Must get my hands on this cookbook! This cookbook looks really good, and your mushrooms sound amazing as well. Are you getting your srircha fix while you can? This book is a really fun one!